Richard Wagner is the man principally responsible for keeping the Germanic mythological tradition alive in the modern world. Countless individuals have been exposed to that tradition through Wagner’s Der Ring des Nibelungen, and it is safe to say that at any given moment somewhere in the world some portion of the Ring is being played or performed. In other words, at any given moment, by means of the Ring, the stories of the gods and heroes are being recounted: the story of the building of Valhalla, of Wotan’s (Odin’s) sacrifice of an eye, of Siegmund’s drawing the sword from the tree, of Siegfried’s slaying the dragon, of Siegfried and Brünnhilde’s ill-fated love, and of the murder of Siegfried – to name just a few of the mythic elements incorporated into the Ring. The myths live and continue to move people thanks to Wagner. And they will continue to do so, for Wagner used the myths as the basis for one of the greatest artworks ever created (arguably the greatest – for it is, as Wagner himself claimed, the total work of art). The Ring is immortal. Given this, one would think that Germanic neo-heathens (Ásatrúar) would all be fanatic Wagnerites – travelling great distances to see the Ring performed, studying the libretti, collecting the countless recordings by this conductor and that. But with a few exceptions, this is not the case. The most obvious reason for this is that Ásatrúar, whatever good intentions they may have, are still products of their time, unaccustomed to the sort of challenges posed by Wagner. Wagner is “classical music,” after all, and not nearly as approachable as Mozart or Bach. His music is not “relaxing.” It is frequently unnerving and emotionally moving. His operas are dominated, for the most part, by a kind of dour Germanic earnestness (which is one of the chief reasons, I suspect, that many find them off-putting). There is little humor. Plus, Wagner is not content merely to tell a story, his works are laden with philosophical meaning (their Schopenhaurean pessimism is surely another reason why some avoid them). Finally, it must be mentioned that virtually every Wagner opera is extremely long, and even Wagner fanatics find themselves nodding off at times. Wagner is not for people with short attention spans or an inability to sit still. Of course, the obvious response to such an assertion is that Wagner’s aim was to produce a work of art, not a piece of scholarship. However, a real defense of Wagner – which is the purpose of this essay – will have to be somewhat more elaborate. I intend to argue not only that Wagner was a remarkably serious student of Germanic myth, and that the Ring is remarkably faithful to it. I intend to argue, further, that the “changes” he makes to the myths are all legitimate developments of the mythic material. And, most important of all, in developing that material in his own way he was following in the footsteps of the anonymous authors of the Nibelungenlied and Völsungasaga and other works, all of whom had put their own personal stamp upon the sources they worked from. In doing so, they had revealed new layers – new truths – latent in the sources. The myths and sagas are not fixed and static; in the right hands, they give birth to new ideas and new connections. As we shall see in the case of Wagner, the myths have the power to possess those who take them up. I will, furthermore, argue for an even stronger and more controversial claim: of all the forms in which the Germanic mythology has been preserved, Wagner’s Der Ring des Nibelungen is the most beautiful. Wagner is the greatest skald who ever lived. There is beauty in the Eddas and sagas, but it is a rough beauty mixed with a great deal that is indecorous. There is profundity there too, but it exists alongside a lot that is naïve and unrefined. And as for the Nibelungenlied, no honest person has ever felt anything other than disappointment when coming to it after an encounter with Wagner. Indeed, the poetry of Wagner’s libretti for the Ring is superior to that of the Nibelungenlied. And Wagner’s poetry is, in the main, more intellectually profound because Wagner stood on the shoulders of the great German philosophers G. W. F. Hegel, Ludwig Feuerbach, and Arthur Schopenhauer. Indeed, Wagner is the great synthesizer of German myth and German philosophy (the topic of “Wagner’s place in the Germanic tradition,” in fact, covers more than just his appropriation of the myths). Aside from this, of course, Wagner adds still another entirely new dimension to the mythic tradition, and it is really for this above all else that he is celebrated: he sets it to some of the most rapturous music ever written, music which seems to express the very spirit of the tradition itself. Now, the above claims will scandalize some of my readers. “How can you compare Wagner to the original sources – let alone praise him, in some ways, as superior?” Well, such an objection misses the point, and rests on some faulty presuppositions. First of all, virtually every one of the “original sources” dates from Christian times, and was composed by authors many of whom were Christian (like Snorri Sturluson) and not “pagan” at all (except, perhaps, in spirit). Second, and most important, the entire point of this essay is to argue that Wagner should be regarded as one of our sources. It may very well be that Wagner was more a pagan at heart than Snorri Sturluson. He was certainly a harsh critic of Christianity (and the idea that he came to embrace Christianity in his later period – the period of Parsifal – is largely a myth). But the primary reason for regarding Wagner as a legitimate skald, if you will, is his deep immersion in the tradition, and the profundity of his insight into it. 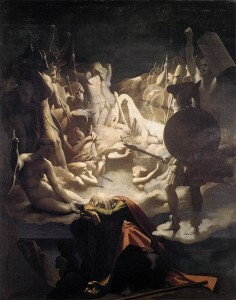 What is it exactly that makes Wagner’s appropriation of the Germanic myths so profound? In fact, what Wagner did was to weave together many different strands of the Germanic tradition (mythological, poetic, and philosophical) in order to create a complete speech laying bare the history and character of Western man. Wagner is the Hegel of music. The Ring is a kind of phenomenology of the Western spirit, expressed through the total work of art: combining drama, poetry, music, song, scenic design, costumes, and much else. In the Ring we confront ourselves and our tragic nature. For the Ring is a conscious and deliberate attempt on Wagner’s part to create a modern equivalent of Greek tragedy. In the Ring, the tragic character is Western man himself. What is his tragic flaw? That is a point I will explore much later in this essay. As has already been implied by the foregoing, I will confine myself in the present text to the Ring, though a full consideration of Wagner’s place in the Germanic tradition would obviously have to deal with most of his operas and their use of Germanic legend – including Der fliegende Holländer, Tannhäuser, Lohengrin, Tristan und Isolde, Die Meistersinger von Nürnberg, Parsifal, and various sketches for uncompleted works, such as Wieland der Schmied. The Nibelungenlied was rediscovered in Germany in the early 19th century, in the wake of Romanticism and in the midst of the Napoleonic occupation. It was a time of increasing national awareness, and the Nibelungenlied, with its saga of the heroic Siegfried, was hailed as the great national epic. Dozens of editions were printed, both in modern German and in the original Middle High German, and it was taught in schools. By the 1830s the idea of adapting it into a grand opera had been floated by several authors. 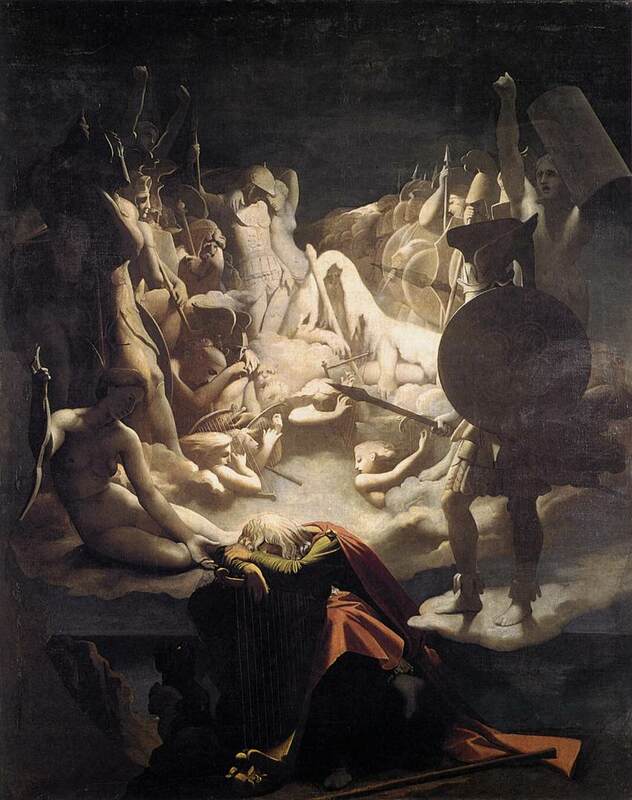 In 1853 composer Heinrich Dorn produced a Die Nibelungen opera, which enjoyed a certain popularity in Germany until it was completely eclipsed by Wagner’s Ring. Germany in the early nineteenth century also saw a revival of interest in the old pagan Germanic gods, who soon took their place in school books alongside the Greek pantheon. It was into this milieu that Wagner was born (in 1813) and came of age. But it took him awhile to arrive at the idea of an opera based on Germanic myth. Wagner was a German nationalist, though the nature of his nationalism was complex. To be a German nationalist in the nineteenth century meant that one advocated the unification of the German states (something which did not occur until 1871). Of course, German nationalism also consisted in German pride, and celebration of all things German – sometimes, indeed, to the point of extolling German superiority. But what always seems curious to us today is that this German nationalism often went hand in hand with an Enlightenment cosmopolitanism. The philosopher J. G. Fichte (1762–1814) is a paradigm case of this. He had long advocated such liberal ideals as the unification of mankind and the enlightenment of all peoples. During the Napoleonic occupation Fichte became an ardent nationalist, penning his famous Addresses to the German Nation (1808). But he had not fundamentally changed his ideals: it was Germany that would lead the way, Fichte believed, in unifying and enlightening mankind. Essentially, Wagner was cut from the same cloth. Fichte had sought to awaken the German nation, to bring it to consciousness of itself, through his philosophy and the power of his rhetoric. Wagner set out to do it through opera, but in order to do that he had to reconceive opera itself. And the model according to which he did so was Greek tragedy. Wagner believed that Greek tragedy was – up until his time – humanity’s greatest artistic achievement. First of all, tragedy combined all the other arts: drama, poetry, mime, costumes, instrumental music, song, and dance. Most importantly, it was based upon myth, which was timeless and (so Wagner believed) revealed universal truths of human nature. The entire community participated in the tragedy, at least as spectators: when a tragedy was performed (always at state expense) it drew the entire populace. And since the tragedy was based on myth, the event had a religious significance. With the Greeks the perfect work of art, the drama, was the sum and substance of all that could be expressed in the Greek nature; it was – in intimate connection with its history – the nation itself that stood facing itself in the work of art, becoming conscious of itself, and, in the space of a few hours, rapturously devouring, as it were, its own essence. If the Greek artwork embraced the spirit of a fine nation, the artwork of the future must embrace the spirit of free mankind, beyond all the confines of nationality; the national essence in it must be only an ornament, the charm of an individual case amidst a multiplicity, and not a limiting barrier. Two main stages in the development of mankind lie clearly before us in history – the racial-national and the unnational-universal. If we are at present looking to the future for the completion of this second stage, we have in the past the closure of the first stage clearly discernible before our eyes. These lines may disappoint some. But it is important to keep in mind my earlier remarks, to the effect that Wagner’s cosmopolitanism did not actually preclude his being a nationalist of sorts. It is equally important to keep in mind that these lines were written in 1848 and 1849, at a time when Wagner was a wooly-headed anarchist revolutionary, and a friend of Mikhail Bakunin (1814-1876). However, as we shall see, in time Wagner abandoned his revolutionary ideals. It is safe to say that eventually he settled for awakening the German nation. So let us consider exactly how the Ring was conceived, and how it took shape. Wagner’s original idea was to adapt the Nibelungenlied into a single opera titled Siegfrieds Tod (Siegfried’s Death), which, as its title implies, would have concentrated on the events leading up to Siegfried’s murder by the Burgundians (or Gibichungs). On October 4, 1848, four days prior to starting work on the libretto of Siegfrieds Tod, Wagner wrote a short “prose sketch” of the opera. However, it went considerably beyond the material in the Nibelungenlied, creating an entirely new “back story” leading up to Siegfried’s death, culled primarily from Wagner’s study of Scandinavian mythology, and from scholarly attempts to reconstruct pre-Christian German myth. In this sketch we find the basic outlines of Der Ring des Nibelungen. Wagner’s intention was that the “back story” could be conveyed through dialogue (a device he employs in several of his works). However, he soon realized that the back story he had created was so elaborate that this was really impractical. And so he conceived the idea of writing not just one opera but a trilogy – a trilogy, that is to say, with a “prologue.” In short, he conceived the idea of a tetralogy, though Wagner steadfastly insisted on always referring to it as a trilogy with a prologue (Das Rheingold). The timeline for the creation of the Ring is simple. Wagner wrote the libretti for Das Rheingold and Die Walküre in 1852, and completed the libretti for Siegfried and Götterdämmerung in 1853. In the autumn of that same year he began the music for Das Rheingold, and finished it in January of 1854. The music of Die Walküre was begun in June 1854 and finished late in the fall. Then there is a gap, with work on Siegfried not beginning until 1857. Wagner finished the first act in April, but then interrupted it in order to write Tristan und Isolde, at the behest of the Bavarian King Ludwig II, who had become Wagner’s chief patron. The music for the second act of Siegfried was not written until June 1865, and the third act was finished in early 1869. The music of Götterdämmerung was begun the following year, but not completed until 1874. My studies drew me on, through the poems of the middle ages, right back to the foundations of the ancient German mythology; I was able to strip away one distorting veil after another which later poetry had thrown over it, and so set eyes on it at last in all its chaste beauty . . . . Although the splendid figure of Siegfried had long attracted me, he only fully enthralled me for the first time when I succeeded in freeing him from all his later trappings, and saw him before me in his purest human form. It was then for the first time too, that I recognized the possibility of making him the hero of a drama, which had never occurred to me while I knew him only from the medieval Nibelungenlied. Among the four major Scandinavian sources, the first that must be mentioned is Thidrekssaga, another thirteenth-century text, compiled in Norway in Old Norse. It is believed to be based upon German materials – indeed scholars believe that all of the Scandinavian sources dealing with Siegfried (Sigurd) are elaborations of German sources. (To avoid confusion I will use the Wagnerian form “Siegfried” and other Wagnerian versions of traditional names throughout this essay – hence Siegfried, not Sigurd; Brünnhilde not Brynhild, etc.) This means that Wagner’s belief that in turning to the Scandinavian sources he was encountering a more “authentic” Siegfried is probably erroneous. (Though it is still possible, one supposes, that there could have been some very ancient tradition that both the German and Scandinavian sources drew upon.) Thidrekssaga primarily deals with Dietrich von Bern, but also includes stories concerning Siegfried, the Nibelungen, and Attila the Hun (who figures in the Nibelungenlied as King Etzel). The other three primary sources were all compiled between 1150 and 1270 in Iceland (which had a late conversion to Christianity, around 1000). First is the Poetic Edda, from which Wagner drew details about the gods and Siegfried. Second is the Prose Edda, which contains some myths that Wagner adapted, as well as a fairly lengthy sketch of the Siegfried legend. Finally, the Völsungasaga was Wagner’s most important source of all, in which he found woven together almost all the elements he needed for the Ring, told with a great wealth of detail. In addition to these five sources, Wagner made some limited use of a few others. These include Norna-Gests þáttr (or the Story of Norna-Gest) a fourteenth-century Scandinavian text that summarized the Siegfried story, with some original details. Two other minor sources include the fifteenth-century Heldenbuch (Book of Heroes), and the sixteenth-century Lied vom hürnen Seyfrid (Song of the Horny Siegfried, “horny” referring to his skin, impervious to attack – except, of course, in one spot). In addition to the above primary sources, Wagner was also heavily indebted to the scholarly literature on the German and Scandinavian texts. The field of “German studies” had emerged largely as a result of the Romantic movement, and the first serious philological work on the medieval sources was being produced around the time of Wagner’s birth. In researching the Ring, Wagner read virtually all of this scholarship. Particularly important to him, however, were two works by the brothers Grimm: Wilhelm’s Die Deutsche Heldensage, published in 1829, and Jacob’s Deutsche Mythologie, which appeared in 1835. The Grimms were engaged in a common scholarly task: to reconstruct the ancient, pre-Christian German faith and traditions. In Scandinavia, pagan beliefs had been preserved in the Eddas and sagas, but no comparable German texts existed. The Grimms reasoned that traces of the old German religion had to have been preserved in such sources as folktales, place names, and Christian demonologies. Wilhelm and Jacob scoured every possible source, attempting to piece together a reasonable picture of what the old religion must have been like. (In the process, they collected their volume of Märchen, or fairy tales, the achievement for which they are now best known to the public.) As a kind of model on which to base their reconstruction, the Grimms looked to Scandinavian mythology, reasoning that it was a local inflection of a mythology common to all the Germanic tribes. Heill dagr! Heilir dags synir! (Hail to the day! Hail to the sons of day! Wer ist der Held, der mich erweckt’? (Hail to you, sun! Hail to you, light! Hail to you, light-bringing day! The form is not identical, and Wagner does take some liberties – but, as Cooke notes, the effect is the same. The Nibelungenlied, it should be noted, did not employ Stabreim, but was written instead in the then-fashionable style of “end rhyme,” with rhyming couplets. Thus, we are faced with the interesting fact that in its verse style Wagner’s Ring is more traditional, more urdeutsch than the Nibelungenlied! In section four I will discuss in detail how Wagner made use of the source material discussed earlier. But before turning to the full story of how Wagner wove together all those different strands in order to create the Ring, let’s anticipate and respond to some objections against what he produced. We have now seen that Wagner was deeply immersed in the sources, and conversant with most of the major scholarly literature on the subject. But, some will say, why did he have to “distort” those sources? Why did he have to graft myths onto one another and change them? And, worse yet, why did he have to invent wholly new material? Weren’t the canonical stories enough for him? In responding to these sorts of objections, let’s consider first that Wagner’s project of achieving a synthesis of Germanic myth was not original with him. It was also the project of the anonymous author of the Nibelungenlied. As Cooke notes, writing of that author, “His work eclipsed the previous materials because he had the masterly idea of conflating them into a large, comprehensive epic, and the genius to carry out this idea by expanding and reshaping them in a way of his own.” But the exact same thing could be said of Wagner. And so, as Cooke also points out, if we must accuse Wagner of distortion then the author of the Nibelungenlied must stand accused as well. But I can imagine some Ásatrúar biting this bullet and declaring that the Nibelungenlied, with its courtly, Christian veneer is indeed a distortion. The trouble is that, for quite different reasons, the same accusation could be made against the Völsungasaga. The simple reason is that, as alluded to earlier, all the Scandinavian accounts of the Siegfried legend are now thought to be developments and elaborations of German originals. (This is why Wagner’s belief that in going to the Scandinavian material he was getting a “more authentic” Siegfried is so problematic.) And, of course, if one compares the accounts of Siegfried in the Völsungasaga, Poetic Edda, Prose Edda, Norna-Gests þáttr, and other sources, one will find that they differ with each other as much as do Matthew, Mark, Luke, and John. It is completely pointless to debate which is the “authentic” story. Perhaps there was some great ur-text which all of these, ultimately, are drawn from. But if so, it has been lost to us. Such possibilities, however, are really beside the point. Each of these texts is an artistic creation. They are not self-effacing attempts to faithfully mirror some original source. That would, in fact, be contrary to the Germanic spirit! No, they are highly individual creations, using the basic Siegfried story as a framework which they then embellish and elaborate, often intermingling it with other myths and heroic legends. At the same time, however, it must be noted that Wagner’s Ring is not just a “synthesis” of Germanic mythology. Wagner’s purpose was to use that mythology to convey a message – initially about the state of the modern world, then, later on, about the state of life itself. But here the critics will pounce: “You see, Wagner distorts the myths by using them to convey his own ideas!” But should we suppose that the authors of the Nibelungenlied, Völsungasaga, and other texts, were really doing anything different? They too were recasting pre-existing material in order to speak to their own time – and to reveal truths that were timeless and universal. This was exactly Wagner’s own aim. Wagner wrote the following in Opera and Drama: “The incomparable thing about myth is that it is true for all time, and its content, however closely compressed, is inexhaustible throughout the ages. The only task of the poet is to expound it.” Of course, our imaginary objectors might still argue that perhaps the ideas that Wagner expresses through the myths distort the spirit of the myths themselves. This is a much more difficult issue to address, but I will do my best to address it, in the section that follows the next one. For now I will simply say that I believe a convincing case can be made, as Cooke puts it, that the Ring is “a justifiable interpretation of latent implications in the original material.” Further, as I have said already, I believe that the myths have the power to possess whoever takes them up, and to shape his outlook and take it in new directions. I believe this was the case with Wagner – whose change in outlook while writing the Ring cannot be attributed entirely to Schopenhauer. There is something about these myths and legends that resonates deeply with anyone of Germanic ancestry. It unlocks something inside them. And in Wagner’s case, it helped him give birth to one of the greatest creations of the Western spirit. In the next installment of this essay, I will tell the story of the Ring, describe in detail how Wagner derived it from the traditional sources, and offer an interpretation of the meaning of this great work. Classical music is currently marketed in the United States as “good for relaxation.” As always, everything must be oriented toward commerce and the body. Mozart is “good,” therefore, because his music lowers the heart rate and helps one drift off to sleep. One wakes up the next morning refreshed and ready to head back to the office and make more sales. Therefore, Mozart is good because Mozart = money. Often this is tied to the idea that Wagner was some kind of proto-Nazi – a view typically asserted by people who have no real knowledge of Wagner, and only the vaguest idea of what Nazism was. I do not intend to deal with this issue in the present essay. However, once I have finished discussing the philosophy behind the Ring, intelligent readers will realize how problematic it is to try to link Wagner to National Socialism.
 . Quoted in Deryck Cooke, I Saw the World End: A Sudy of Wagner’s Ring (Oxford: Oxford University Press, 1991), 83. An anonymous epic poem in Middle High German, probably written between the period 1180 and 1210, telling the story of Siegfried. See Bryan Magee, Aspects of Wagner (Oxford: Oxford University Press, 1990), 5-6. Quoted in Bryan Magee, The Tristan Chord: Wagner and Philosophy (New York: Henry Holt and Company, 2000), 86-87. Both quotes appear in Cooke on p. 264. Jacob Grimm, Teutonic Mythology Vol. 1, trans. James Steven Stallybrass (Mineola, NY: Dover Publications, 2004), 241. The translation appears in The Poetic Edda, trans. Carolyne Larrington (Oxford: Oxford University Press, 1996), 167. The translation is in Wagner’s Ring of the Nibelung: A Companion, ed. Stewart Spencer and Barry Millington, libretti translated by Stewart Spencer [henceforth: Spencer] (New York: Thames and Hudson, 1993), 267. Cooke, both quotes appear on p. 86.